Michael is a corporate / commercial lawyer with over 25 years experience in the City of London. He was a partner in the London office of Simmons & Simmons and also spent a number of years in New York where he set up and managed a local office for them. 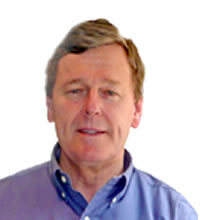 His experience includes mergers and acquisitions (including takeovers of listed companies), stock exchange listings, corporate finance, demergers, international joint ventures and general commercial agreements such as supply agreements, distributorship agreements, agency agreements and terms and conditions of business. Michaelâ€™s clients have come from many different countries.